an important message burning inside. AND Be Unapologetically You In Every Moment. Speak With Soul from George on Vimeo. Spots are limited as we keep this event intimate. Get In While There Is Still Room! There is no question that right now we are in a pivotal time, where it is easier than ever to be VISIBLE. But when you look around, are you disheartened by what you think you must do to be SEEN today? Especially if you’re a truth seeker, especially if you are bold. The way people around you are showing up may make you feel very alone. Like you just don’t fit in. You don’t want to add more fluff, “empty messages” and smiles to the already flooded world. You want to talk about the REAL stuff. You want to share more of yourself—the real you—but you don’t feel safe yet to do so. You know you are meant for something bigger— and maybe even meant to start a conversation that you don’t see others talking about--but you are scared, and don’t know where to start. You’re starting to feel that the word “authenticity” is thrown around too recklessly. But you want it. You feel it in your soul. You want to share YOUR voice. YOUR passion. You follow a formula—going to networking events, posting on Facebook daily, speaking—trying to get out there to be VISIBLE. But the truth is, you’re still invisible because it’s not the real you. Or maybe you turn it ON to “attract clients” and be seen as the expert - but you are being haunted on the inside, because despite your success, there’s a disconnect. You still aren’t showing your true self. Or, you’re still on the sidelines, bottling up your REAL, vulnerable message to keep it safe and sound, waiting for the moment when it will feel okay to come out--but still not giving yourself permission. You’re holding back, procrastinating and upset with yourself. We need NEW voices and real leaders to shift the conversations on our planet. In a world where we know things have to change, some of us are scrambling for a magic solution. Something or someone to tell us what is right and what is wrong to say out loud. Not enough people are sharing what is in our hearts. Are you feeling this too? THIS is why the world needs you—your story, your gifts, your light—now more than ever. And… your soul won’t let you rest until you step into the true message, and Messenger that you are here to BE. Today, we’re calling you out. And we’re calling you UP. Hint: It’s NOT because you have a signature “talk” to deliver, or a sales script to practice, or a “marketing strategy” to launch. There is a message that is UNIQUELY meant to come through you. It’s not a sales pitch. It’s in you, it runs through you. It’s what you live and breathe every day. And here’s the truth (that most people don’t want you to know. There is NO formula or system that will take you on this path. This isn’t something you follow—it’s a very deep, personal experience. Speaking your real message and BEING the real you on any stage is the most important way you will impact the lives in the way you yearn. Having the courage and knowing how to speak your message and be seen in your brilliance and bruises, your guts and greatness so you can help transform others with your words and your work is needed now more than ever. And it is the true path you are here for. The REAL Journey of a Messenger is a spiritual ride with twists and turns. You discover things about yourself, you play with the raw emotions that come up along the way, and you connect… HOW you connect! With the world, your audience, your clients. We started out like you, with dreams and a calling… and a LOT of doubt and unknowns. Years ago, I ventured out on my own after years working in corporate. I started a business, got married, things looked good on the outside. But it all fell apart when I was faced with a choice. I felt a calling, a whisper in my ear, that there was something BIGGER I needed to be doing. I couldn’t yet see it, but I FELT it in my heart and soul, my entire being. My business partnership was going in a different direction than where I was being called. And so, I made a choice to walk away from it all. After that, everything fell apart—my marriage, my biggest client contract and my self-worth. I hit bottom. And I found myself starting again from scratch. I wanted to be SEEN and be true to myself. And speaking was a part of it. I felt I had a message to share. At times, I felt like a fraud. Who was I to have such a big vision for myself? I thought I had to be perfect and look like the other speakers and leaders I saw out there. But there was no way I could do that - I was unique! I compared myself to everyone. I looked outside myself; coach after coach, “system” after system, hoping they would “fix” me. I forged ahead, but the little girl inside of me was scared. She was the foot on the brake when I was pushing the gas pedal but not getting as far as I wanted to…and certainly not fast enough. Soon, my business was finally doing well and growing. I was out speaking on major stages alongside luminaries like Marianne Williamson, Les Brown, Lisa Nichols and others, hosting my own events, filling programs and working with great clients. I was even chosen out of thousands as a top-ten finalist in North America's Next Greatest Speaker Competition, which was a great honor. I should have been happy….right? And then I got the most important lesson! Trusting ME. Listening to ME. Valuing ME. Not as compared to others. Not what some guru or information product told me I “should” be. But who I discovered, allowed and knew myself to be… in all my brilliant, flawed, beautiful, painful, fierce and more-than-slightly neurotic glory. I got to know and love myself… and started speaking from that place. That was when my speaking, business and life finally REALLY took off. It was no longer a dream, it was happening. My business revenues broke through, we’re talking a MULTIPLE six-figures, year-after-year. I help other women and men soar offering my support and if needed, the “permission” to be real and do what they love. So, tell me… how long have YOU been waiting? To find confidence. To trust yourself. To let go of being perfect. And to see the urgency of sharing what’s inside of YOU in a deep, impactful way. If there’s one thing to take away from all of this, it’s that you don’t need another formula or system. But you do need to find a place, where you feel SAFE, where you can take a risk, be bold and speak what’s burning inside of you. If I had a sacred space like this way back when, it would have made my Journey so much smoother, and less painful. In my “past life”, I was holding onto my day job as a practicing attorney, while raising my two kids as a single father. I was holding the fort down, but I also felt drawn to a bigger calling. 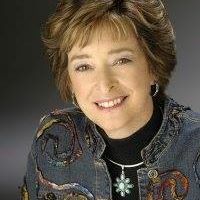 I began a consulting practice on the side as one of North America's first executive coaches. 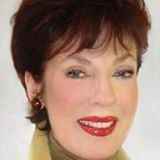 Over the course of 14 years, I was invigorated by the work, providing performance coaching to executives, entrepreneurs, athletes and performing artists. Things were going well. But in 2005, it all changed. I was diagnosed with a rare Leukemia, and was told that the cancer had completely destroyed my bone marrow. I realized that all the business, sports, spiritual and relationship lessons I’d been teaching for years as "The Emotional Archaeologist" was what I needed to save my own life. Five months after my diagnosis, after employing a rigorous combination of modern medical science, powerful creative visualization, and my self-developed Bio-Transformative Meditation method, I was “cancer free”. This experience of staring my own mortality—and legacy—in the face, drilled the truth in: that for each of us, our time on this beautiful planet is finite. 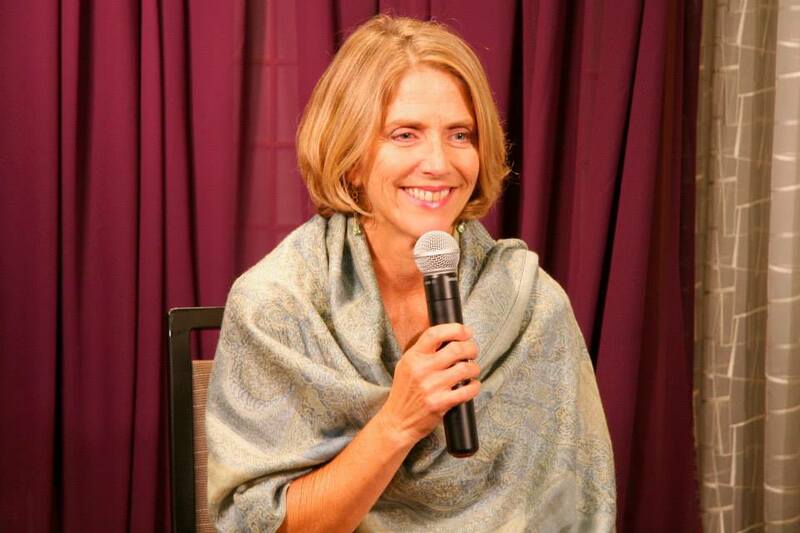 I wrote the second of now 8 books, ran 3 marathons and 3 half-marathons, raised thousands of dollars to support cancer survivors and their caregivers and immediately began teaching audiences the important transformational power of the language we use. 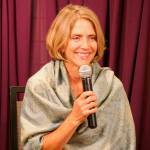 As I dove deeper (and climbed higher) into my spiritual awareness, I began receiving huge insights from my meditations. Insights that gave me material for 6 subsequent books and allowed me to teach meditation techniques and viewpoints on healing that I wasn’t completely aware of prior to my illness. Since then, the insights gained have supported thousands and even circled back around to support me again. After a second diagnosis 12 years after the first, I was able to employ the insights, techniques and higher-consciousness to make a second full recovery. Entrepreneurs, spiritual leaders, and rock musicians now seek my counsel to bring themselves closer to their true nature, heal their limiting wounds, and bring their fullest expression into the world without apology. Words have power. Meeting Tracey and “comparing notes” on our lives and the paths we’d chosen, we instantly knew ours was a pairing that would open windows and doors and skylights for a lot of people. People like us. People like you. People who know--deep inside--that we’re here to bring about light and love and change in the world. 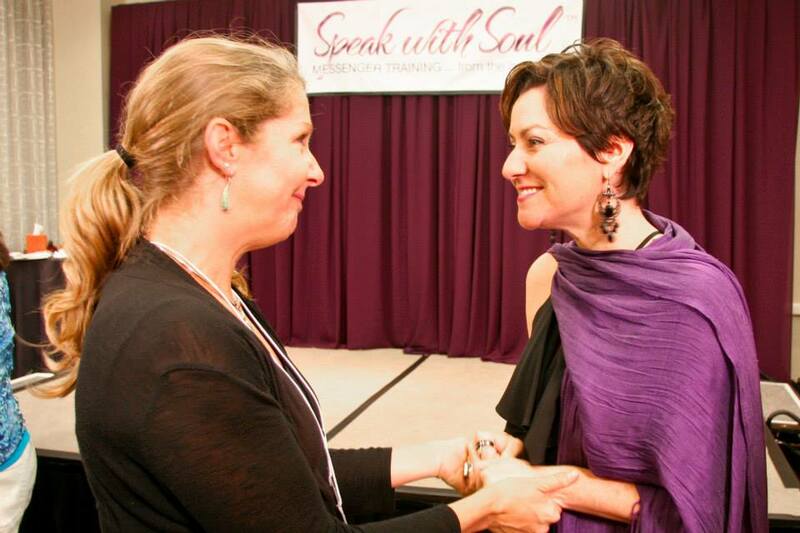 It’s called “Speak With Soul”, and it’s a 3 day immersive experience where you get to find the gold within you, and practice sharing it, in all YOUR imperfect glory, all while receiving expert feedback. Best of all, you’ll be in a very safe, supportive space with heart-centered business professionals on the same journey as you. starts where most others stop. We don’t know any training out there that takes things as deep as we do. We work with you on your content by providing personal input and coaching, so you can pull out the gold of your story, teaching material, and your unique offer. We take the time to focus on who you are BEING as a messenger with the ‘inner game of speaking’, not just what you say and do. This is the game changer—you’ll notice the difference right away. Even if you get the words right, what you are feeling in the moment oozes out of your presence and delivery. We give you guidance on your unconscious presence—because more than your words, this is what will draw people to you like a magnet, or push them away. You’ll receive specific, actionable tools to help you be present in those moments. Our breakthrough process helps you go to the very core of any fear or reasons you are holding yourself back, and transform it in the most powerful and loving way. If you’ve felt like you have one foot on the gas and one on the break, you will discover why that is happening and literally shift it in the room. We do this by walking you through a deep, inner exercise that will introduce you to a part of yourself you may not fully be aware of. It’s only by tending to this inner relationship with yourself that you can feel integrated from within. This is critical work that often gets overlooked—but we’ll take you there, so you can experience for yourself what it means to bring ALL of yourself into the world. This is true alignment! This is a game changer that will transform every part of your business so you never again have to ask “who is my niche and target audience.” You will know beyond a shadow of a doubt who you are here to serve and how to connect with them more deeply. You may have visions of speaking to large audiences, or you may plan to only speak to a small group, or even just 1:1. We’ll help you get clear on who you are drawn to, and who you are really meant to serve. When you KNOW your true client and audience, it all begins to flow, so you can speak straight into their hearts in a very intimate and profound way. With real-time feedback as we practice in the room, you will transform your capacity to sell and serve your audience fully from any stage. You’ll also discover certain words that establish you as a leader and phrases and actions that ultimately diminish your power. Making these simple adjustments and improving your Leadership Language can dramatically improve your results—that means you get to serve those who are drawn to you and truly make an impact, while getting paid to share your unique gifts. We will teach you “The Energetics of SpeakingTM” which is the key to exuding the confidence and congruence you need to truly impact others. Your body is speaking all the time, and there is no formula or template that will override you being out of alignment with your message. There are subtle, and not so subtle ways you may be unconsciously undermining your message and your presence. The way you carry our energy on stage makes or breaks you. You’ll learn how to manage your energy and the energy in the room. And how your body language is speaking volumes way beyond your words. This is the key to embodying your message and being congruent in how you show up on stage and in life. Identify the most powerful elements of your story and how to connect them to your audience in a more clear and powerful way. Know how to clearly communicate to others that you are credible and relatable and that you genuinely care about the needs of your audience. Develop your ‘road map’ so you never have to memorize a talk again. (Yes, you read that right, we’ll show you how to go off-roading, and you will LOVE it!). Discover our unique strategies to connect with your audiences in an authentic and engaging way so they ‘know, like and trust’ you quickly. Make your offer and invite people to take action in a way that’s compelling, not ‘salesy’, and authentically in service. Focus on who you are BEING when you speak, and how to own and embody your real message so you are congruent body, voice, and soul. Practice doing the deep inner work, so you stop leaking your power and instead exude your passion and inner confidence. 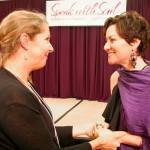 Receive direct and personal guidance in the most safe and sacred space on the way you deliver your talk. Practice how to ‘dance’ in the moment with your audience and intuition and stay on track. Everything you learn can be used on any stage (live or virtual), at networking events, in your marketing videos and in one-on-one conversations. You can use what you’ll learn to retool how you share your message everywhere make sure you STAND OUT … and not just fit in! “So fulfilling and so – seriously – life-changing. I have been so immensely impacted. This work is so much more than what I expected. And ten layers deeper. And higher. And it Rocked! Unique Strategies to Help You Speak from a Deeper Place Within You– Our approach to speaker training is unlike anything else out there. You’ll see what it means to go MUCH deeper with your audience so your message can reach them in new ways. Why? Because you’ll be speaking from your body and your soul, and this is the game changer. We’ll show you what it means to hold the energy in the room, to expand the space you hold, and BE your message. 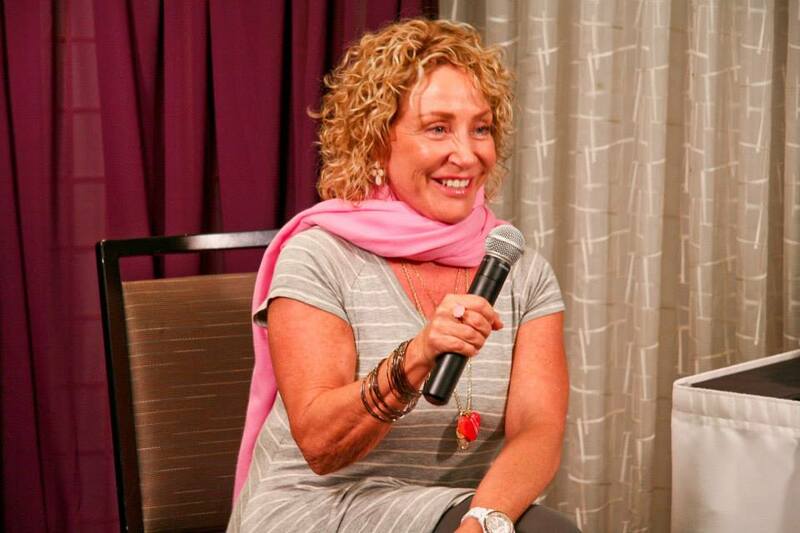 Immersive, Interactive Group Exercises – It’s in the “doing” where you build confidence and begin to integrate the teachings with your natural speaking style. That’s why you have a TON of time to practice with a partner 1:1, and in small group interactions. You’ll also have the opportunity to stand on stage, so you can bring all that you’ve learned together and see how much you’ve shifted during our time together. It’s a powerful, validating experience that stays with you. A Safe, Supportive Small Group Setting – There’s a reason we only accept 75 participants for this event. We know that a safe and comfortable setting will give you a nourishing environment to truly take risks, and feel supported at every step. This is about giving yourself permission to try new things and build confidence (not to mention amazing friendships). We provide you what you need to do life-changing work here. Navigate Your “Stuff” in Real Time – For most of us, taking any stage brings up “our stuff” in big, raw ways. It could be fear, vulnerability, tears, laughter—however your emotions manifest for you in the heat of the moment, IS where the gold is. We welcome your emotions, and all your “stuff”. They aren’t in your way, but ARE the way. We’ll show you how to be prepared for whatever the moment may bring, so you can be vulnerable on stage, and even let it stand as the foundation of your influence and power. Personalized Feedback & Expert Guidance – For 3 full days, you’ll get feedback and expert guidance from both of us, Tracey and George. We’ll guide you on your content, your delivery, and give you specific nonverbal and verbal strategies so your message is compelling, and resonating on multiple layers. We’ll go deep by helping you “bust through” those areas where you hide out and hold back. Tracey is a masterful coach and a communications ‘midwife’. 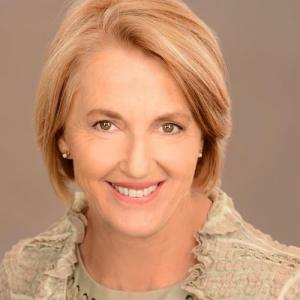 Her intuitive gifts are keen, enabling her to nail a client’s ‘inner roadblocks’ and get to the heart of communication patterns that block one’s full potential. Her accuracy and her ability to help me be more clear, refined and laser focused has been priceless! The work with Tracey was way more than I expected. It’s deep, personal and profound. 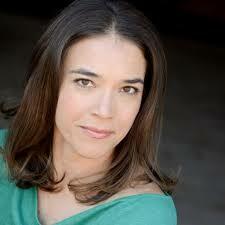 Tracey is an amazing coach – very hands-on, very caring and very supportive. 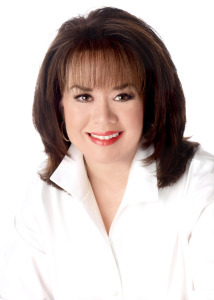 She truly fulfills the brand promise of her company name – Amazing Women. 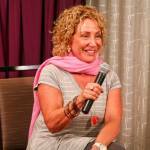 I experienced some profound insights and made some deep shifts as Tracey has challenged me. 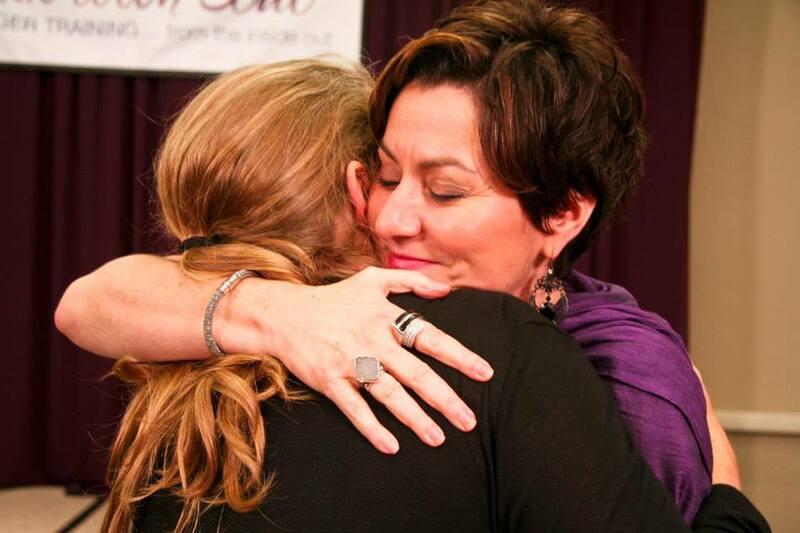 With her guidance, I am producing amazing results in my coaching and training business! 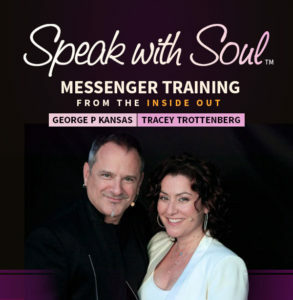 A Ticket to the Live “Speak With Soul” Event (including your lunches), happening November 2,3 & 4 in Long Beach, CA. This is your time to play with like-minded people, practice the content you know is waiting to come out, and get our expert feedback in a very safe, sacred and supportive environment. You’ve never experienced anything like this, trust us. “Messenger” Pre-Event Assessment. This is an intimate event, and we designed it this way very intentionally. We are NOT cookie-cutter. We want to know YOU, your personal challenges, where you need to work the most, and how we can support you before we meet in Los Angeles. As soon as you register, you’ll receive an intake form, so you can pour it all out, and share with us where you need us the most. Tons of Pre-Event Training and Community. You won’t be on this journey alone and you won't come in unprepared! In fact, there is an amazing community of people who you’re about to build very deep, supportive relationships with and together, you'll embark on pre-event, live and recorded training calls and materials. This includes an intensive version of our popular program, Get Your Talk Done Virtual Bootcamp. Many of our community members say that the spaces we create are the ONLY places they feel safe sharing new ideas, new visions. You’ll love this amazing group of trailblazers as you prepare to share space together! Access to Daily “Prosperity Playground” Calls with George & Tracey. This is exclusive for our community only and happens every morning, Monday to Friday, for a listen-only wealth consciousness and meditation call. This is jet-fuel for your day and an absolute favorite way for many to start their day. You’ll love it! Know how to quickly pull the “golden nuggets” of your story, so you become a compelling, natural storyteller on any stage. Finally feel the power in your vulnerability--and stop waiting for someone else to give you “permission” to share yourself. Be fully aware of where you hide out and hold back, and where your gold is. Own the “Language of Leadership” in your bones, so you ooze confidence and expertise, especially when you extend an invitation. Get familiar with the emotions that come up for you on stage, so you can navigate them and never be afraid of “messing up”. Be able to manage the energy in a room so you can feel into what is most needed in the moment. Be present and poised by being more YOU in any conversation, whether it’s at a dinner party, a networking event, a sales call, or a stage. Be more clear about what makes you great and unmistakable. We invite you to come play with us, to take a risk, and look inside at the remarkable YOU that’s waiting, living and breathing--the source of all your power, your gifts, your light. Let us help you shine, find your voice, and speak from your soul. You’ll never look back! Don’t let another year go by holding back and hiding. The world, your community, your loved ones, we are WAITING to hear from YOU. Hurry, the Advance Sale Deadline Ends November 1st. 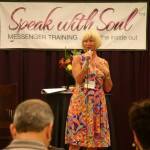 Isn't it Time You Begin to LIVE Your Message and Start Speaking With Soul? And do it in a way where you are embodying all that you are meant to BE. Making money doing what you love while sharing your gifts with the world—that IS the greatest gift you can give to your community. What is it worth to you to be able to transform your message and become not only a dynamic speaker, but a real influencer—someone who can make a huge difference simply by BEING in the room and speaking from your heart? 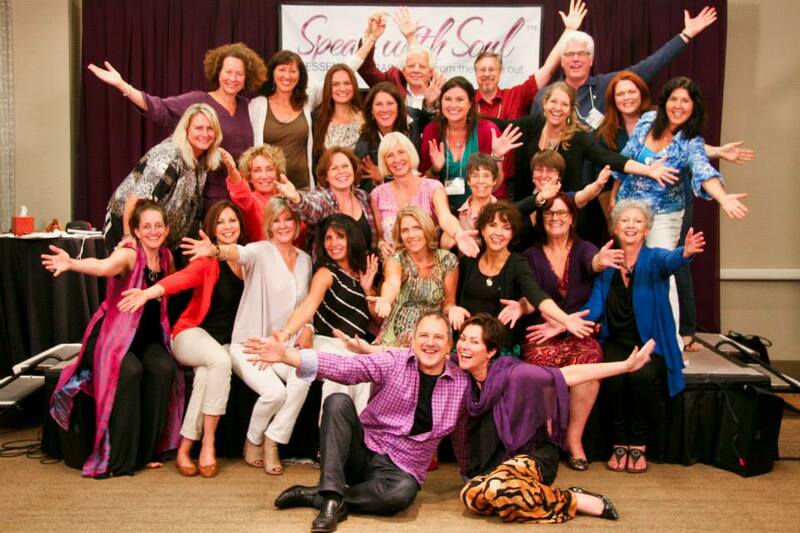 We know hands-down, the Speak with Soul community, and our unique, non-cookie cutter approach is going to truly change your presence in the world, and you will never look back. Seating is limited for this event, and spaces will go fast. Be sure to claim your seat at the special Early Bird price, so you can take advantage of our lowest price for this event. This is one of the biggest misconceptions we hear and this simply is NOT true! 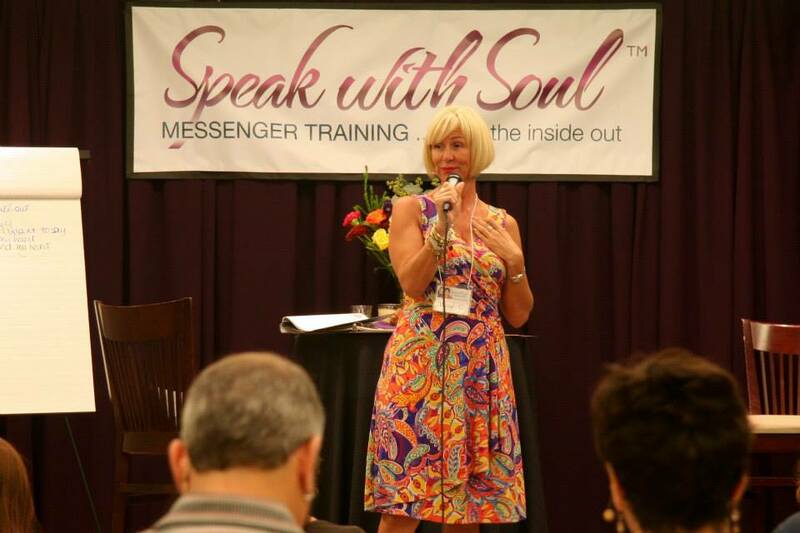 The “Speak with Soul” program will make a huge and positive difference for all your materials (website, messaging, ezine, etc.) because you will become clear on your message from the inside out. We will also help you see how to integrate and leverage across all your ‘platforms’ because we believe “everything is a stage.” When you know how to craft your message and deliver your talk, how to share your story and present your credibility and speak about your programs and offerings, you become WAY more effective in all other areas! This is not an either/or situation. Getting your message clear is a powerful and effective way to accelerate and streamline all your marketing and business efforts. We love this question! Good for you if you are out there speaking and we’re sure you’re making a positive difference with people already. Chances are, that with your experience, you already recognize the incredible value of getting direct feedback on how you actually show up on stage, as well as some guidance and enhancements to your talk. Like most of us, you probably have some habits or unconscious things that you do on stage verbally or non verbally, which may be holding you back or impeding your results. Imagine how much more effective you could be with expert feedback to your stage presence, delivery and content. You likely realize that even one tweak could explode your results. We cannot see our own eyebrows (as a dear friend always says) and we all need feedback. Especially as a speaker. Neither do we! Nothing about us is cookie cutter, and we don’t want that for you! This is about you learning what works, and then making it work for you. It’s about giving yourself permission to allow more of the real you to come out. We’ll show you how to do that in a clear, cohesive and effective way. Then you get to bring out the most delicious YOU out on stage! Again, neither do we! But let’s clarify what this means, because the key here is HOW you do it, not iF you do it. ‘Selling’ from the stage is about SERVING your audience. You must give them an opportunity to go deeper with you if they choose, because without that, you are ripping them off. 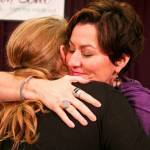 When you are compelling on stage, you are magnetic. They are drawn to you because they see themselves in you, and they want what you have for themselves. That’s what you are doing your job as a messenger and leader. And that’s why you need to provide them with a next step for their own growth and transformation. The key here is to know how to share your offer without being ‘salesy.’ Done right, you feel in service and your audience is served. This happens when you are passionate about what you’re offering and you maintain that energy and connection with your audience from start to finish. Again, this is what we do in the course and we’ll teach you how to offer and invite people to work with you, and feel amazing about it! This is just not true. There are so many places that need great content and speakers. The problem is that there aren’t enough speakers, especially women speakers, that know how to be powerful, effective and stay feminine on stages. If you are only looking to be on big main stages, it can take time to build your credibility, and know who and how to get there. But that may not even be the best stage or place for YOU! You may be better with smaller audiences, where you are more visible, desirable and in demand. There’s also creating your own stage, which is one of the best ways to grow your impact and your money. The bottom line is that belief of lack and scarcity will destroy your options. The truth is that there are stages for YOU everywhere!